Jerome Everton Taylor is a West Indies bowler, who has unsettled even the best in the business in his career with his sheer pace. A right-arm fast bowler, Jerome can bowl 145+ kmph consistently. Taylor was born on 22 June 1984 in St. Elizabeth, Jamaica. The speed and accuracy which Taylor possessed enabled his rapid rise in international cricket. 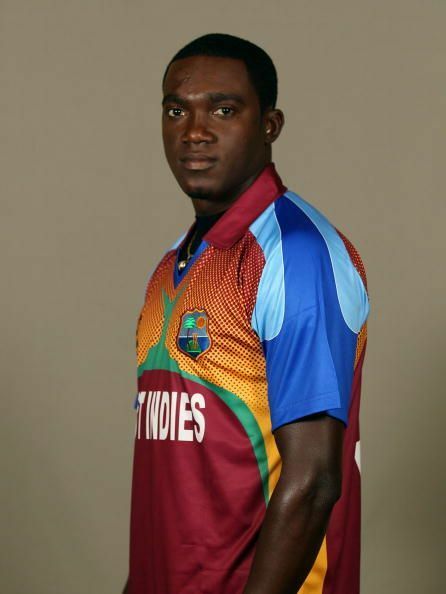 He is a handy batsman and has skills to become a useful all-rounder for West Indies. Taylor started playing first-class cricket for Jamaica and impressed everyone immediately after bursting onto the domestic scene. He had a dream start as he earned the call to the national team in 2003 after playing only a handful of matches for Jamaica. He showed why he was being hailed as the future star by taking 21 wickets in six matches in the 2003 first-class season. He continued to be consistent by taking 26 wickets in the next season as he clearly outclassed his peers in the domestic circuit with his impressive bowling. Taylor made his international debut in an ODI match against Sri Lanka at Kingston in June 2003. He took two wickets while giving away 39 runs in his 10 overs. He then made his test debut a week later against Sri Lanka at Gros Islet. He went wicket-less in the match but picked up two wickets in his next test match the next week. He was soon dropped from the team for being inconsistent and ineffective. After being dropped from the national team, Taylor went back in the domestic circuit and gave consistent performances season after season, to storm his way back into the team in March 2006. In the third test against India in June 2006 at Kingston, Taylor came roaring and unsettled the Indian batsman to take his maiden Test five-wicket haul in the first innings. He followed up this performance with four wickets in the second innings and ended the match with figures of 9/95. In his next series against Pakistan, he took his second five-wicket haul in the second test at Multan as he went on to take 13 wickets in three matches of the series. He continued his good form of tests in the shorter format too and took a hat-trick against Australia in the 2006 ICC Champions Trophy. After a brief slump in form, he again made a comeback in 2009 in the test series against England as the England batsmen danced to his tunes at Kingston in the first test. He rattled the batting line-up and took five wickets in just nine overs as England were all out for 51. West Indies went on to win the match by an innings. He became the spearhead of the West Indian bowling attack and has been consistent since then despite injuries plaguing his career. Taylor has featured in 46 test matches and has taken 130 wickets at 34.46. In the shorter formats, he has taken 128 wickets at 29.53 in 90 ODIs and 33 wickets at 26.15 in 30 T20Is. He is the first West Indies bowler to take a hat-trick in ODIs.